and Livinging Victoriously in Christ! Who We Are: Adventure Bible Camp (ABC) is a low-cost, Christian-based camp for children ages 5-10 (Grades K-5) that reinforces the spirit of selflessness, support, diversity, and encouragement. Along with the study and practice of Biblical principles, campers participate in fun-filled activities such as singing, dancing, art, cooking, and rhythm classes. Campers also enjoy fun team activities, swimming, and trips. Programs are scheduled to show parents and friends all that the children learn throughout the Camp. 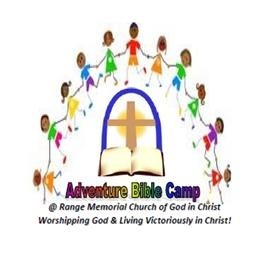 Adventure Bible Camp began in the summer of 2011 and is a ministry of Range Memorial Church of God In Christ located on 7th and Fulton Streets in Chester, PA.
Days/Hours of Operation: This year the camp will operate for 10 weeks beginning Monday, June 25, 2012 through Friday, August 31, 2012. Program Fee: Only $50 due at registration. The fee does not include costs of outings.